StreetLink exists to help end rough sleeping by helping members of the public to connect people sleeping rough with the local services that can support them. You can also contact Lambeth’s Safer Streets Team directly who will offer emergency accomodation to any rough sleepers during cold weather, when the Met Office forecasts three or more nights of zero degrees celsius. 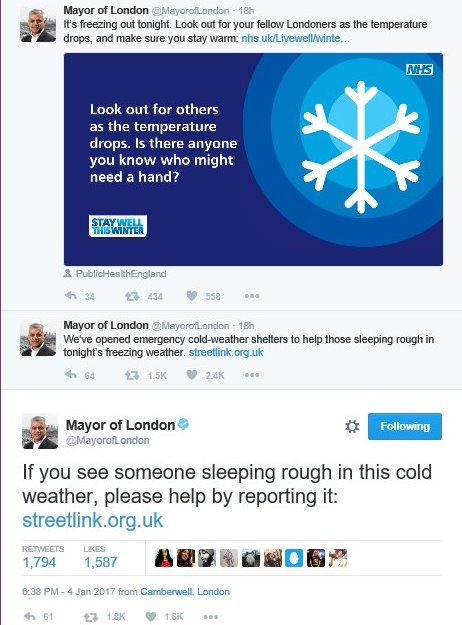 Mayor Sadiq Khan has opened an emergency homeless shelter as temperatures plummet in London. Should you see anyone sleeping rough in West Norwood or beyond, please make sure to report it so that they can access a warm place to sleep. Please also keep an eye on elderly or vulnerable neighbours.